Funny and cute vector character illustration. Cartoon bunny rabbit with long ears and feet. 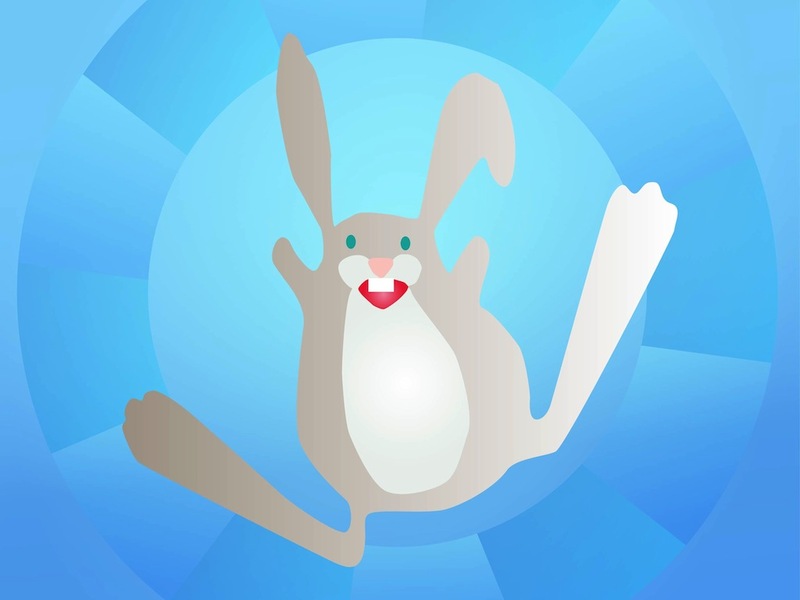 Happy jumping bunny with small paws lifted in the air and smile on the face. Free vector illustration to use in all kinds of brand mascots, game and comic book characters and Eastern greeting card decorations designs. Tags: Animal, Bunny, Cartoon, Character, Easter, Funny, Mascot, Rabbit Vector.